We asked our customers to share with us what they’ve created using a StockLayouts template. 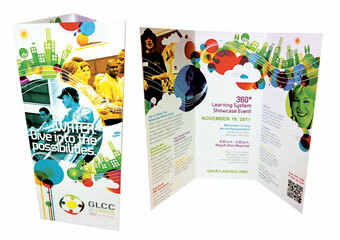 Nearly 100 users submitted their designs for the ‘Look What I Did With My Template’ 2012 Contest. 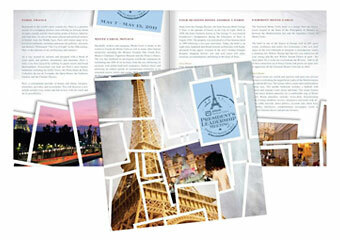 The first place winner was awarded a 1-Year Template Library Subscription (a $599 value)! We simply could not pick just one out of the many great designs so we also awarded a second place winner with a 3-Month Subscription and third place winner with a 1-Month Subscription. Our customers do a great job of customizing our templates to make their own unique graphic design marketing materials. The contestants demonstrated how a stock design can be used to create unique materials with their own originality and creativity! First Prize:Mitchell’s design for Great Lakes Constructivist ConsortiumThis design was chosen as the first place winner for the extensive and impressive customization, particularly with the recoloring of the user’s own images, while maintaining the integrity of the design. We also liked the creative use of fonts. Second Prize:Jackie’s design for a Leadership MeetingWe chose this design as the runner-up for the excellent manipulation of the creative elements, attractive use of photography, and as well as by the inspiration to use a template for an unrelated industry. 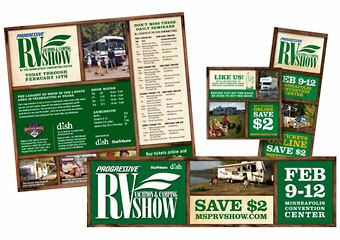 Third Prize:Hank’s design for a RV ShowWe were impressed with this marketing package because one design was used to create many derivative pieces, as well as by the usage of a design outside of the intended industry. Thank you to everyone who submitted a design! Feeling inspired? Try your hand at creating great-looking marketing materials using a StockLayouts template as a starting point!